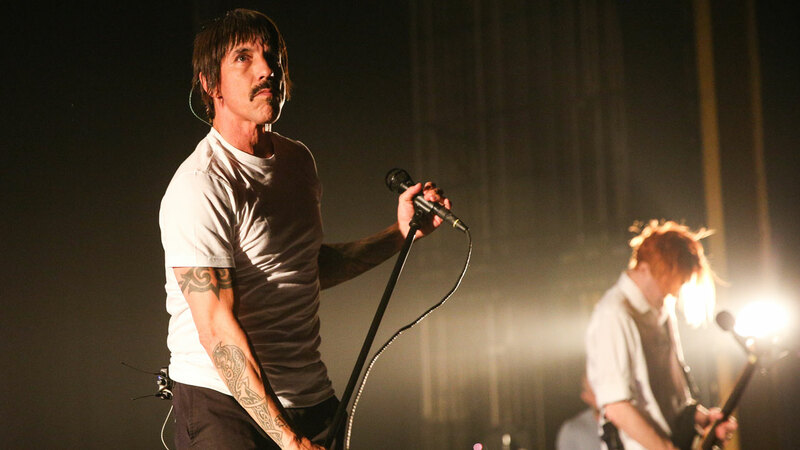 LOS ANGELES -- The Red Hot Chili Peppers postponed a show as lead singer Anthony Kiedis recovers from an intestinal flu, the band announced Sunday. The band was scheduled to perform at an iHeartRadio concert in Burbank Tuesday. "The Red Hot Chili Peppers regretfully must postpone their upcoming concert...they would like to extend their gratitude to fans for the outpouring of well wishes," the group said in a statement. "Anthony is expected to make a full recovery." The news comes a day after Kiedis was hospitalized due to medical reasons. Bassist Flea announced the show cancellation Saturday night on stage during KROQ's annual Weenie Roast at the Irvine Meadows Amphitheater. The 53-year-old front man has been with the band since it was formed in 1983. The band's latest album, "The Getaway," will be released June 16. They are also set to perform May 23 at the Rock on the Range festival in Ohio and May 29 at the BottleRock festival in Napa Valley.